You could do better. And you know it. Discover now where your ambition lies. How highly do you rate your organisation right now? To excel your organization, we are looking for your ambition through four questions. What score would you give your organization? Your organisation could do a lot better. You can tell this from your business results, and from the way that members of staff and members of the management team behave towards one another. For instance, from how they react to change. All too often, attempts to improve things get stuck on disfunctional structures and painful processes. Opportunities don’t get seized, and talent doesn’t get used, despite being available. You can see it, you can feel it, but you can’t get a grip on what’s wrong. You see it, you feel it, but you can't get hold of it. Your organisation already performs satisfactorily, but it could do better. And you know that. You can tell this from your business results, and from the way that members of staff and members of the management team behave towards one another. For instance, from how they react to change. All too often, attempts to improve things get stuck on disfunctional structures and painful processes. Opportunities don’t get seized, and talent doesn’t get used, despite being available. You can see it, you can feel it, but you can’t get a grip on what’s wrong. Your organisation already performs fairly well. You would give it a score of 8 out of 10, but not 9 out of 10. Not yet, anyway, although you know it could get there. You can tell this from your business results, and from the way that members of staff and members of the management team behave towards one another. From how they react to change. All too often, attempts to improve things get stuck on disfunctional structures and painful processes. Opportunities don’t get seized, and talent doesn’t get used, despite being available. You can see it, you can feel it, but you can’t get a grip on what’s wrong. Your organisation is performing very well. But how can you ensure that you maintain this momentum within a continually changing environment? How can you implement continuous improvement? All too often, attempts to improve things get stuck on disfunctional structures and painful processes. Opportunities don’t get seized, and talent doesn’t get used, despite being available. You can see it, you can feel it, but you can’t get a grip on what’s wrong. Should your organisation’s business results improve? Process, Control, Behaviour and Leadership. So you think that your organisation’s results should improve? Then decide what you need to do to achieve this, and use it as a basis for starting a change pathway. For instance, a network administrator recently set itself the challenge of improving productivity. If you’d like to know how we took on the challenge together, read about this case study now. So you’re satisfied with your current results? Fine, but now your challenge is in working out how to sustain them. The pace of change in the market and within companies themselves keeps getting faster. The ability to learn is therefore an essential skill for staying at the forefront and seizing opportunities. 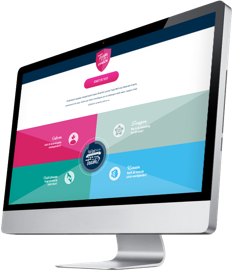 Discover how well your organisation learns. A customer is more satisfied when an organisation’s products or services surpass that customer’s expectations. Often, this can be achieved through specific behaviour from its employees. A tool such as gamification can bring about that desired behaviour. We view gamification as a game-changer in change management! This short video gives an impression of the gamification project that House of Performance has achieved with Bruna. Your customers are generally dissatisfied. You need to do something about this immediately! See which of our experts would be the best person to call on when you urgently need help. Your customers indicate too often that they are not very satisfied, or even that they’re downright dissatisfied. This is a clear signal that you want to do something about. At the very least, you want to gain an insight into how you could meet your customers’ expectations. For example, a negative difference may be that they feel that your turnaround times are too long. It’s great that your customers are satisfied! And of course, you want to keep them that way. Continuous improvement is therefore essential. See here how a daily stand-up meeting can help you to anchor continuous improvement within your organisation. You can download a design for an improvement board here. In general, your customers are satisfied. That’s a good basis to reinforce and to build on. By using gamification, you can focus very clearly on managing employee behaviour that directly influences customer satisfaction. For instance, do you advise your customers proactively or reactively? Read more about gamification as a change management method in this blog: We’re surely not going to play a game? The extent to which employees are happy with their work and their working environment determines how satisfied they are. The more satisfied an employee is, the greater the chance that they will excel. Lean Leadership greatly influences the extent of employee satisfaction, and thereby also an organisation’s performance. How Lean is your leadership? You believe that your staff are unhappy. Besides being worrying, this is something you should directly act upon because you know that there’s a direct link between their unhappiness and your organisation’s business results. A recent study among 24,000 working professionals in the UK shows yet again that it’s not the size of their salary but the feeling of being valued, pride in their own organisation and being treated fairly and respectfully that are the most important elements in determining employees’ satisfaction. So put a pair of ‘What If?’ glasses on your colleagues every so often, in order to examine where you want to go together. Your staff aren’t as satisfied as they could be. There are no standard solutions for improving this situation. We believe that everything starts with listening to them properly. It’s all about being open to what your staff have to tell you, and your readiness to do something about it. By working with NedTrain in this way, we together managed to not only improve employee satisfaction but also to reduce costs and get trains ready more quickly. Read more about this case study here. You believe that your staff are fairly satisfied. This means that it’s highly likely that you put your trust in them. But that’s not always easy, as we have ourselves experienced. 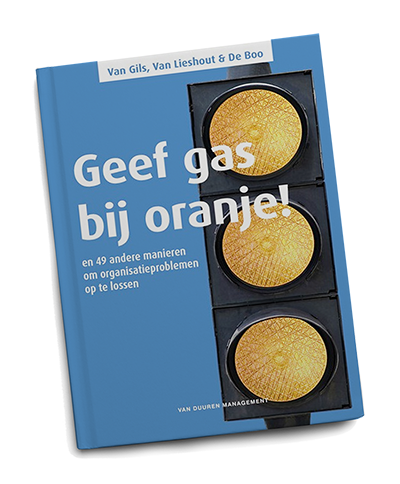 Read here (Blog 4) a chapter out of our book ‘Geef gas bij Oranje’ (‘Step up a gear here’), which is published in Dutch. Within it, we reflect on this theme by discussing our own in-house situation. Doesn’t it feel good to know that ‘your’ people enjoy working for your organisation? That’s why we are so proud that House of Performance has been nominated both in 2016 and 2017 as a Great Place to Work. We are pleased with what we create together, we keep our eyes open for improvements and we are equally open to implementing them. For instance, we consider it important that the performance that we create is in balance with ethical choices. That’s why we organise dilemma sessions both at the client’s workplace and in our own. Read about one of our own dilemmas in this recent blog (Blog 5). Here’s where your ambition lies!